With a to-do list that seems to be never ending, keeping up with leads and external communication can sometimes be missed on the priority list. Imagine if there were a software designed to help you prioritize and execute your marketing tasks in a more streamlined and efficient way. This is marketing automation. This tool helps you nurture leads through email marketing making the transition from marketing to sales much more effective and efficient. Not only has marketing automation yielded marketers impressive results but it also allows for the ability to add personal touches so your emails sound genuine and well-crafted. So where do you begin with marketing automation? 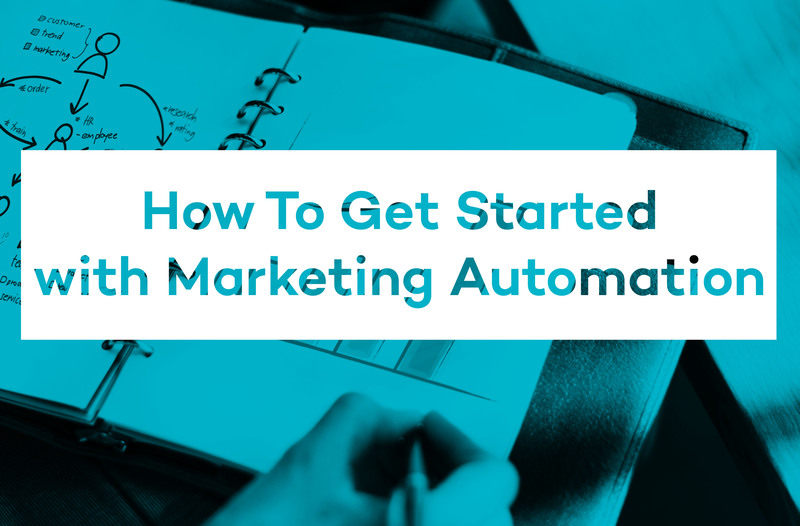 There are a few basic concepts involved in the process and we'll be sharing them in this post to help you become a marketing automation pro. 1. Segmenting your contact lists into groups that show interest in your emails (click on links, reply, subscribe, etc.) and strategically marketing to those groups throughout different stages of lead nurture process. 2. Avoids sending too many emails to uninterested contacts so they do not become annoyed, unsubscribe or develop an unfavorable image of you. 1. Someone subscribes to receive your emails, so you send them a "Welcome" message. 2. A week later, you send an invite to your email lists to view your blog or eBook. 3. You then send a "Thank You" email to the people who subscribed to your blog or downloaded your eBook. 4. In a few days, you send a follow up email to the people who subscribed to your blog or downloaded your eBook inviting them to view a case study consisting of similar content. 5. Finally, your sales team will get a notification when someone downloads the case study putting that contact into the sales lead funnel. This is what marketing automation does for you as it strategically personalizes the type of emails sent to your contact lists. The process not only sends content specific to your contacts' interest level but also makes the sales team's job easier by creating well-informed potential leads. Though marketing automation is a great tool and has helped many marketers improve the quality of their leads, there are still some tips and best practices you should take into consideration. When first integrating your automated marketing software, don't forget to first reevaluate your marketing, sales and communication goals to make sure they are consistent with the benefits of automated digital marketing. This will allow you to make sure these practices are right for your team, clients and target market. When it comes to marketing automation, generic email blasts and broad messaging should be avoided. One of the main goals of marketing automation is to nurture leads, not to end up in people's junk or spam because of lack of relevance. The point of using marketing automation is to send content that is of value to contacts with different lead potential. It is true that automated marketing is useful for obtaining quality leads, but it can also be useful for maintaining a good relationship with your current or past clientele. For example, this might involve setting up customer engagement campaigns to keep your clients engaged and encourage repeat business. 4. Send highly targeted content. Lastly, send content that your contacts want to see. For example, if someone seems to be interested in a blog post you wrote about an up-and-coming neighborhood, the next email they receive from you should continue further with that topic. This will prove to be beneficial because you will be answering the questions your customers are asking giving them more incentive to give you their business.